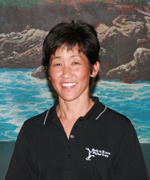 Edy Hayashi Mack, MSPT is a CA licensed physical therapist with over 29 years of manual therapy experience and the proprietor of Body in Balance Physical Therapy in 1990. She received her Bachelor's degree from University of California, Davis and her Master's in Physical Therapy from Krannert Graduate School in Physical Therapy at University of Indianapolis. Working alone for several years, she understood the need for quality therapy in Solano County and focused on developing a business that gave the highest quality service possible. She continues to build and develop Body in Balance PT, loves treating patients, but looks forward to spending more time with her family swimming, skiing and playing music together. Thomas Mack, MSPT is a CA licensed physical therapist with over 20 years of manual therapy experience, most of which have been at Body in Balance Physical Therapy. He received his Bachelor's degree from University of Central Florida and his Master's in Physical Therapy from University of Saint Augustine, Florida. It was a miracle that he came to work with Edy here in California. With his dedicated patient care and other multiple talents he has helped Body in Balance grow into its present 7000 sq foot location. Together, Tom and Edy designed, built and developed every aspect of Body in Balance, keeping its family atmosphere and hoping to make it the ultimate physical therapy facility around. Tom enjoys time off with his family skiing, and playing sports and music together. Martha Wangeline, PTA is a CA licensed physical therapy assistant with over 29 years of experience working in the field. She received her degree in Beverly, Massachusetts but has long since been working in out patient private practices in Northern California, while raising her family here in the area. We were so fortunate to have her come join us at the end of 2006, to help us build our personalized aquatic therapy program. 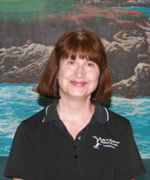 You will greatly benefit from our aquatic therapy program with Martha's experience and caring guidance. Jeffrey S Smith, MSPT, OCS is a CA licensed physical therapist with over 29 years experience as an orthopedic manual therapist. He received his Bachelor of Science from Stanford University and his Master's degree from Columbia University. Jeff has taken many advanced courses in manual therapy and functional training for the full spectrum of clients from weekend warriors up to elite athletes. He is also a board Certified Orthopedic Specialist. In his spare time, Jeff enjoys playing tennis and goofing around with his two boys. Ma. Victoria C. Delacruz, PT is a CA licensed PT with a Bachelor's degree from Dela Salle University Health Science Campus in the Philippines. She has a Master's Certification in Manual Therapy and continues to add to her repertoire of therapy treatments. She has 20+ years of experience working in the field of physical therapy with half of her career spent in the Philippines. We were fortunate when she left New York (where she had been for several years) and moved to Fairfield joining our team and sharing her caring and holistic ways. She has been a wonderful full time addition to our team, helping continue our tradition of excellent manual care. She enjoys spending time with her husband and family and is enjoying California. 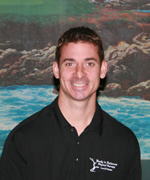 Evan Shute, DPT is a CA licensed physical therapist with over 9 years of experience mostly in central Washington. He received his Bachelor's degree at Central Washington University and his Doctorate degree in Physical Therapy from Pacific University in Oregon. He believes in treating with a holistic approach utilizing manual and aquatic therapies combined with dynamic functional movements. His history of working with children gives him a unique approach with children and adults alike. He enjoys being active with his wife, daughter, and dogs in the great outdoors! Christine Smithberger, PTA is a licensed physical therapist assistant with a Bachelor's degree in Kinesiology from CSU Sacramento and an Associate's degree in Physical Therapy Assistant from Carrington College in Pleasant Hill California. Christine has been a part of Body in Balance for past 11 years as part time aide and front office personnel and we are happy she has returned as a PTA able to fully treat our patients with comprehensive manual and functional care and progression on land and in the water - in line with our philosophy. She enjoys hiking with her dog, camping with friends, and going to sporting events. Sara Polito, PT, DPT is a CA licensed physical therapist with a Bachelor of Science in Exercise Science and a Doctorate of Physical Therapy from Saint Louis University, in St. Louis, MO Sara believes in using a balanced and holistic approach when treating patients, performing a combination of manual techniques and exercises to promote proper functional movement. In her spare time, Sara enjoys exploring California and spending time with friends and family. Lauren Lechmaier, PT, DPT is a CA licensed therapist with a Master of Science in Exercise Psychology from the University of Wisconsin-Madison and a Doctorate of Physical Therapy from University of California San Francisco/ San Francisco State University. Lauren brings experience from both pediatric and acute care settings to the Body in Balance team. She strives to develop individualized treatment to help the patient reach their full potential by utilizing manual therapy techniques and exercise to restore function. In her spare time, Lauren enjoys running, cross-country skiing, spending time with family, and using produce from their small farm to make new recipes. Brenda Rodriguez Carter, is a licensed PTA with an Associate's degree in Physical Therapy Assistant from Carrington College in Pleasant Hill California. Brenda has over 8 years of experience as a Massage Therapist and uses her manual skills in conjunction with therapeutic massage to help her patients on their healing journey. She enjoys traveling with her wife, trying new foods and cooking in her spare time.